Headsail has an anti UV protector. There is also another mainsail with square head top that comes in option. Catamaran almost brand new, never chartered! 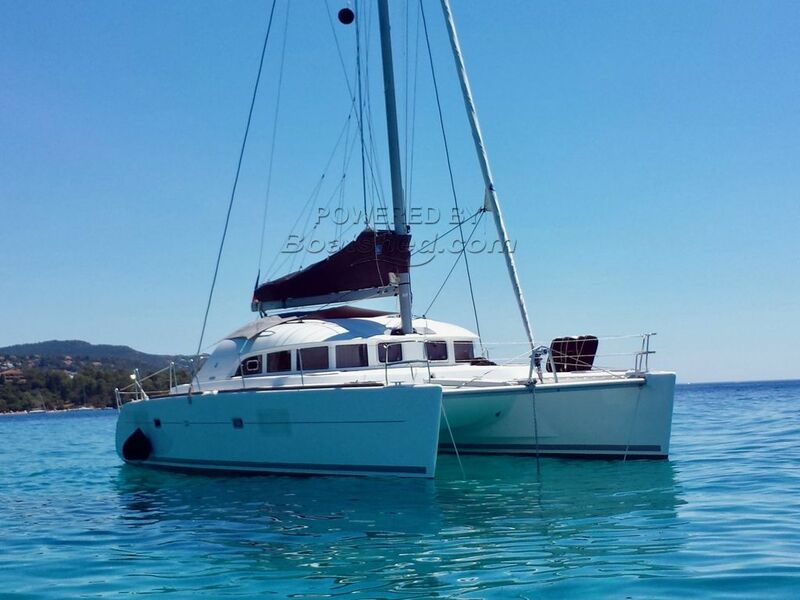 The owner made a surprise to his family buying this catamaran, unfortunately, element of surprise wasn't the one expected. Also, he is actually arranging in the starboard hull a crew cabin! The boat has solar panels, a bimini has just been installed.. The boat seems literally to be new, she is full options and there is actually no much more to say ... ! This Lagoon 380 3 Cabines Version has been personally photographed and viewed by Antoine Perrin Daragon of Boatshed Riviera. Click here for contact details.